In 2016, the US had recognised India as a major defence partner - a move which paved the way for country's STA-1 status. Both the countries had reached an understanding under which India would receive license-free access to a wide range of dual-use technologies. The United States on Monday designated India as a Strategic Trade Authorization-1 (STA-1) country - a status that will allow the country to buy highly advanced and sensitive technologies from America. With such coveted designation, India will now be at par with the United States' closest allies and partners such as NATO. In a statement, US Commerce Secretary Wilbur Ross said that this new designation reflects India's membership in three of the four multilateral export control regimes, as well the development of its national export control system. "US companies will be able to more efficiently export a much wider range of products to Indian high technology and military customers. India's new status will benefit US manufacturers while continuing to protect its national security," he added. STA Tier 1 treatment will expand the scope of exports subject to the Export Administration Regulations (EAR) that can be made to India without individual licenses. This regulatory change will enhance the bilateral defence trade relationship and result in a greater volume of US exports to India. Currently there are 36 countries on STA-1 list. India is the only South Asian country to be on the list. Other Asian countries designated as STA-1 are Japan and South Korea. According to Ross, STA-1 provides India greater supply chain efficiency, both for defence and for other high-tech products, that will increase activity with US systems, the interoperability of the systems, and will reduce time and resources needed to get licensing approved. "We calculate that it will be a competitive advantage for the US, in terms of supplying those kinds of products to India. It looks as though over the last seven years, some USD 9.7 billion of products would have been affected, so it's a meaningful-sized number. And probably, it'll be much more than that because a lot of things they knew wouldn't be exportable, they didn't order from us," the US Commerce Secretary said. In 2016, the US had recognised India as a major defence partner - a move which paved the way for India's STA-1 status. 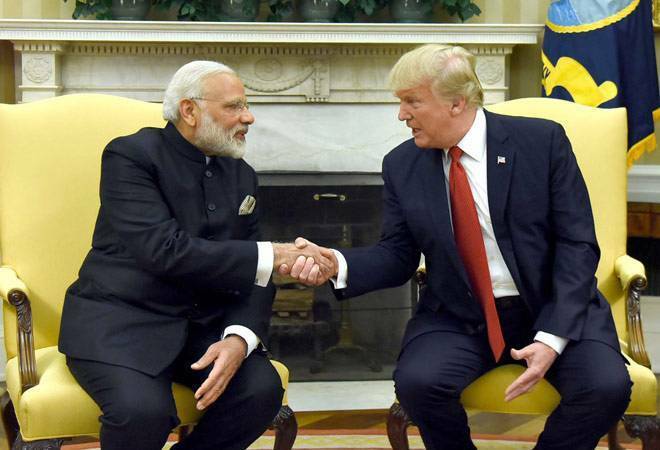 Both the countries had issued a joint statement saying, "Noting that the US-India defence relationship can be an anchor of stability and given the increasingly strengthened cooperation in defence, the US hereby recognises India as a Major Defence Partner." Both the countries had reached an understanding under which India would receive license-free access to a wide range of dual-use technologies in conjunction with steps that India has committed to take to advance its export control objectives. STA-1 designation authorises the export, re-export and transfer (in-country) of specified items on the Commerce Control List to destinations posing a low risk of unauthorised or impermissible uses. Reacting to US' move, Indian Ambassador to the US Navtej Singh Sarna said: "It is a sign of trust not only in the relationship but also on India's capabilities an economy and as security partner, because it also presupposes that India has the multilateral export control regime in place, which would allow the transfer of more sensitive defence technologies and dual use technologies to India and without the risk of any proliferation." US Commerce Secretary Ross yesterday said that India has partnered with the United States to improve its own export control regimes and has met most of the export control rules which the US thinks is useful.